This sophisticated bunting offers a versatile and simple way to dress your wedding venue. It can be attached to your top table or added to another centre-piece, making an eye-catching feature that celebrates your new status as a married couple. 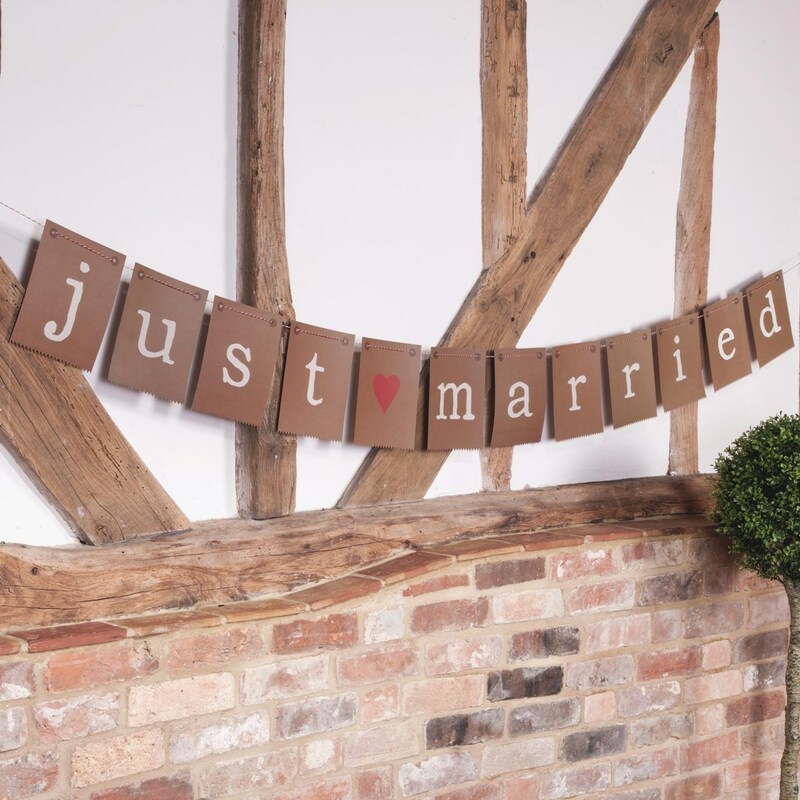 Made from high-quality card, the bunting features individual rectangular flags spelling out the words "Just Married". Easy to assemble. Features bold text and simple love heart design.